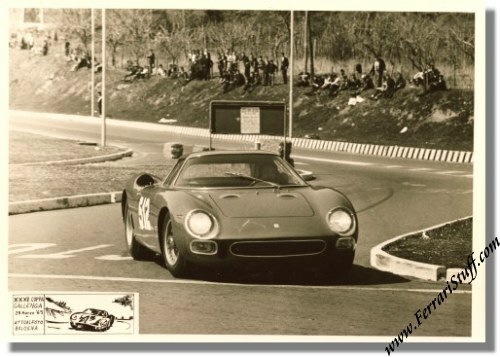 Vintage 1965 photo of Ferrari 250 LM SN 5903 - Coppa Galenga - Sergio Bettoia. 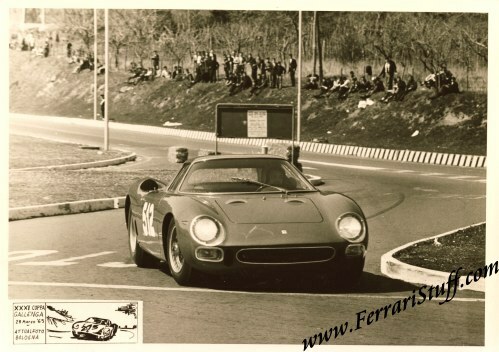 This is a great shot of Sergio Bettoia at the wheel of his newly acquired Ferrari 250LM during the car's maiden race at the Coppa Galenga on March 28, 1965. Bettoia managed a second in class. The car survives to this day and seems to reside in the USA. The photo measures some 18 x 13 cm or 7.5 x 5 inches. It is in more than excellent condition. This is a vintage print i.e. printed shortly after after the image was captured on film.